Last week, I argued that Australia needs stronger defence . Today I suggest how that might be achieved. Current plans strengthen Australia’s defences slowly. For example, the first of our ‘future submarines’ won’t enter service until the early 2030s, and we won’t have twelve boats until the early 2050s. The glacial pace of strengthening the ADF is consistent with 2016 Defence White Paper ‘s assessment that ‘the United States will remain the pre-eminent global military power over the next two decades’—a critical judgment that the latest US National Intelligence Council assessment  calls into serious question. That’s giving the DWP more credit that it deserves. We know that neither the scale nor pace of plans for the ADF has anything to do with balancing strategic risks and costs, let alone soothsaying about where the US will be in 20 years. Instead, today’s plans are the consequence of an ad-hoc decision to spend 2% of GDP  on defence by an arbitrary date. To pretend otherwise is to mistake numerology for strategy. What’s more, today’s plans are little more than a re-hash of the Rudd government’s abandoned 2009 plan . Not only do today’s plans have their genesis in far less challenging times, but we’re starting seven years late. There are limits to what can be done to adapt existing plans to looming challenges. Woe betide anyone who upsets the cosy political economy of naval shipbuilding. And Defence would strongly defend the current inter-service division of spoils. Absent a major crisis, existing misallocations and inefficiencies are baked in; our only option is to add to existing plans. The quickest and most cost-effective way to strengthen our defence would be to enhance the readiness and sustainability of existing capabilities. Stockpiles of munitions and spare parts should be made sufficient for prolonged independent operations, and additional personnel should be signed-up to increase the availability of existing platforms for deployment. We should analyse where and how we can get the most worthwhile boosts to capability for each extra dollar spent. Plans to upgrade the ADF’s airfields and port facilities should be brought forward. Next, we should examine the feasibility of keeping selected existing platforms in service beyond their planned retirement date—even if only as reserve capabilities. Our 71 classic Hornet fighters would be a perfect candidate, but we’ve probably passed the point of no return. If only we’d had the foresight to complete the centre-barrel replacement program. What about new capability? Naval platforms might seem an obvious solution, but they take too long to build. At the beginning of WWII, Australia planned to build eight 2,500 ton Tribal-class destroyers—only three were delivered prior to war’s end. And, although the Army can expand quickly, I think we have adequate land forces for the moment. So it’s to the RAAF we must turn. Aircraft are supremely useful in our part of the world, and mature designs are available from existing production lines. We should investigate expanded purchases of current and planned ADF combat aircraft. Think of it as an insurance policy—a contingency plan—with any final decision contingent on a further deterioration in the strategic outlook. Even with the cautious approach outlined above, strengthening the ADF would cost money, and that would pressure the government’s finances. But a triple-A credit rating will be of little solace if we enter a major conflict unprepared. First, we need to revitalise our diplomatic capacity. After years of cuts and growing demands for consular services, the Department of Foreign Affairs and Trade is stretched to the limit. Australia’s diplomats are the government’s eyes, ears and voice in foreign capitals. Now, more than ever, the government needs the unique insights and influence that only well-staffed and properly resourced embassies can deliver. Second, Australia’s resilience to geopolitical disruption should be bolstered. Sophistry around Australia’s non-compliance with the requirement to hold 90 days of fuel has gone on too long. If it’s good enough for China, Japan, South Korea, the EU and the US to maintain strategic fuel reserves, what makes Australia think that it can rely on foreign markets in a crisis? A strategic reserve of oil and other critical commodities should be created without delay. Third, the government needs to practice its decision-making and crisis management skills. The National Security Committee should commence a program of structured simulations (wargames) to hone the government’s response in a strategic crisis. No ADF unit would ever deploy without having competed an extensive exercise program to confirm its readiness, and no lesser expectation should prevail for the government’s higher decision-making processes. Alongside a strengthened defence force, those three measures would better position Australia to deal with the challenges of an increasingly unstable and uncertain world. But there’s one more thing: we need a strategy. For what it’s worth, I’d double down on the US alliance. It’s true that the relative strength of the US in North Asia is declining, but the US will continue look to Australia as an anchor on the western side of the Pacific even if it is pushed from North Asia. 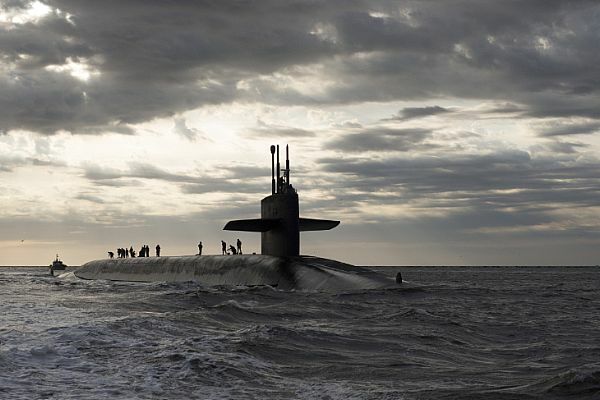 Nothing would please me more than a squadron of US Virginia-class nuclear submarines operating from an Australian port, except perhaps the boats being dual-crewed by RAN sailors. But I know that a great many people would disagree with me; barely a day goes by without a call for Australia to take a ‘more independent’ position—which is code moving away from the United States. We should be talking about the choices we might have to make. It’s possible, and even likely, that in the ‘dark and difficult near future’ an Australian government will have to makes rapid decisions with profound consequences for generations to come. The forthcoming Foreign Policy White Paper is an opportunity for the government to put forward its narrative for Australia in the 21st century. I wish them luck. Even a half-truthful rendering of our current situation would include grave uncertainties and unpalatable truths. But anything less than that will be a missed opportunity to spur on the nation-defining debate we need to have. Mark Thomson is senior analyst for defence economics at ASPI. Image courtesy of US Navy. This piece is extracted from the forthcoming ASPI Defence Budget Brief.